A nice stroll down the tow path and fields 'til you get near the cache. 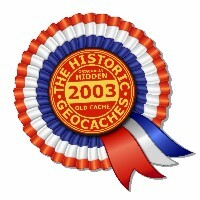 This cache was originally published in 2003 by The Matson Bicester Clan. After an extended period of abandonment and in need of maintenance, it was adopted by Dan Q in June 2018. As one of Oxford's oldest geocaches (as well as being in a fantastic spot), it felt important to me that this cache was kept alive. The terrain rating was increased from 1.5 to 2 at this point to reflect current trends in expressing cache terrain scores: for some routes/weather conditions you might find it harder still! This cache is also described at geo.danq.me/trout-trek. Oxfordshire's second-oldest surviving (physical) geocache!